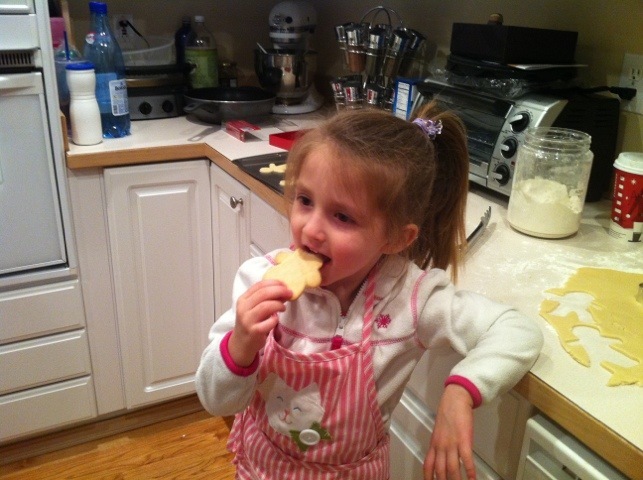 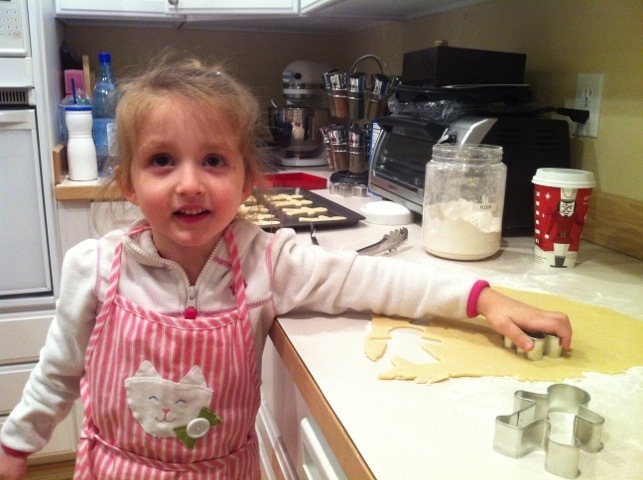 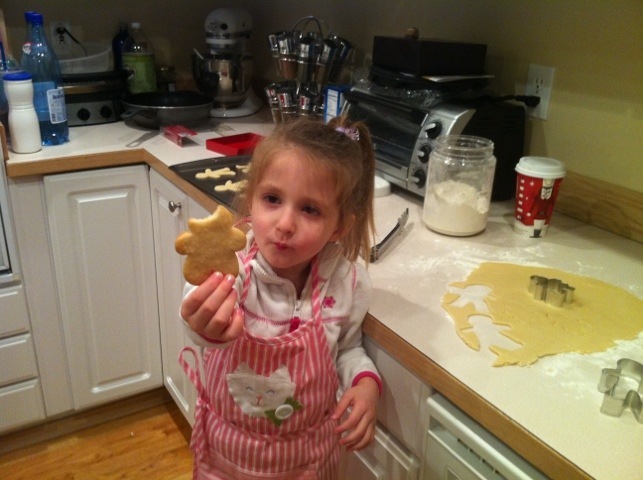 Christmas is but two days away, so Sofia and mama started tackling the pleasant task of Christmas baking. 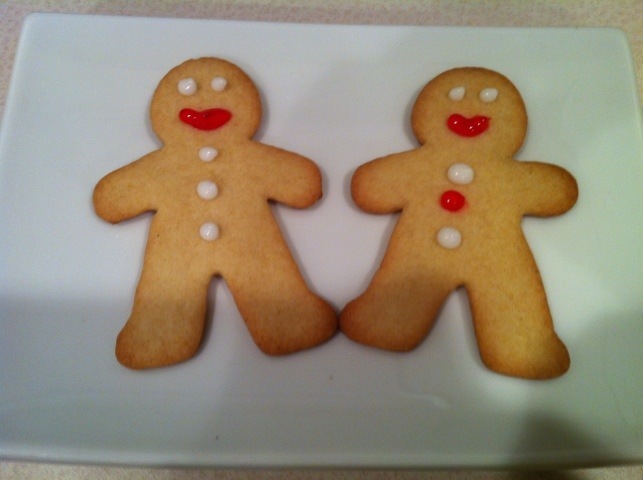 Here is out first project, Sugar men cookies! 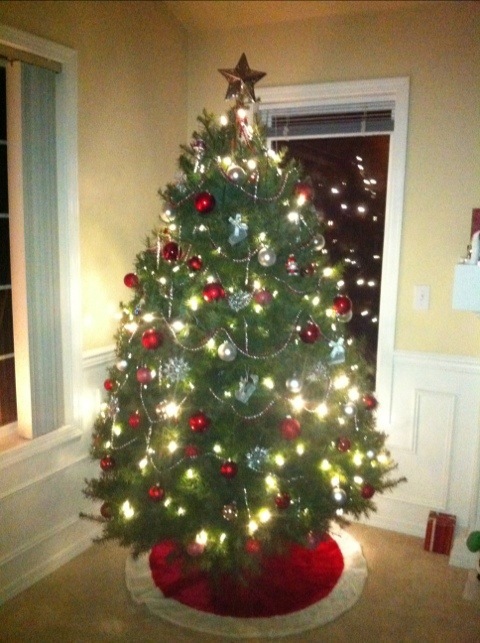 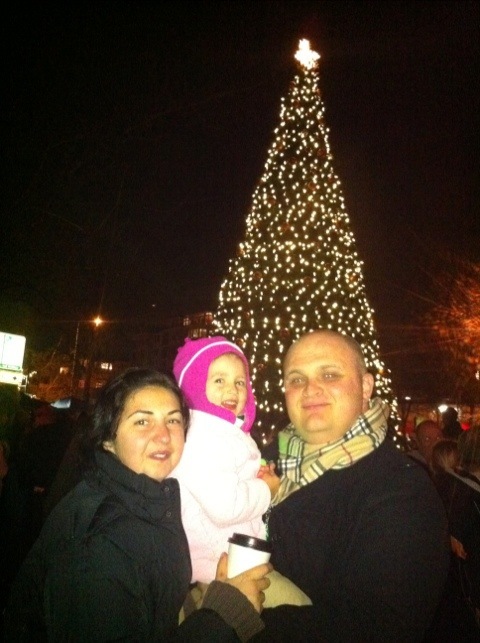 So the following weekend, we went and got our own tree and decorated it. 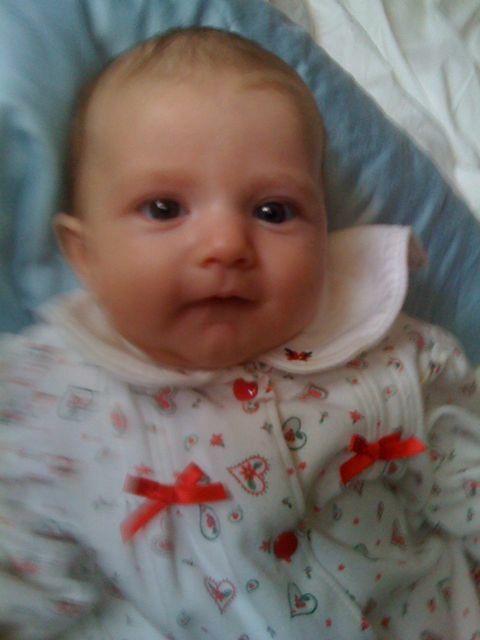 Here is my baby in her Christmas outfit, waiting to be fed. 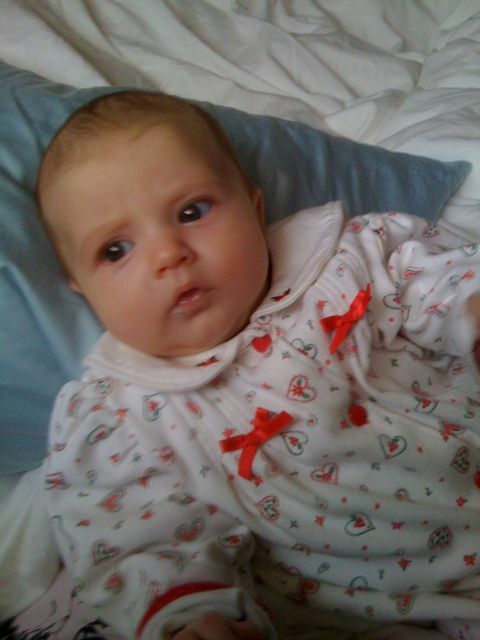 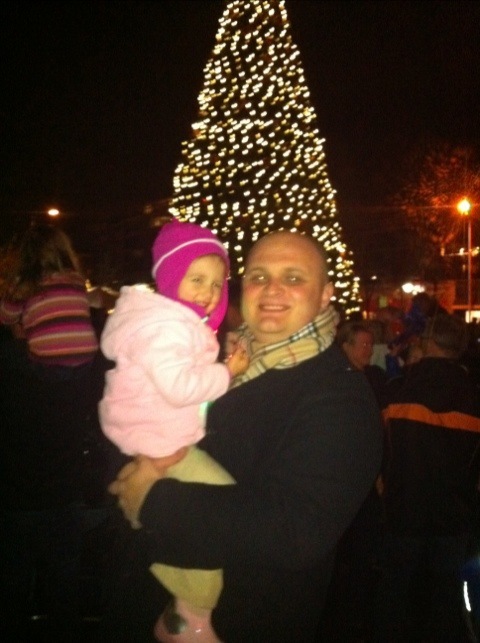 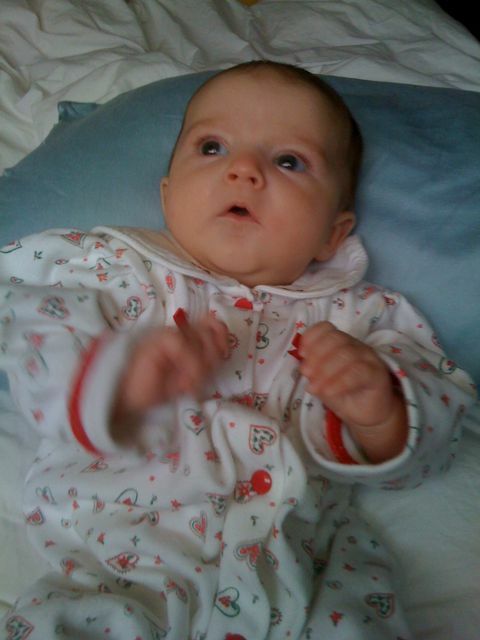 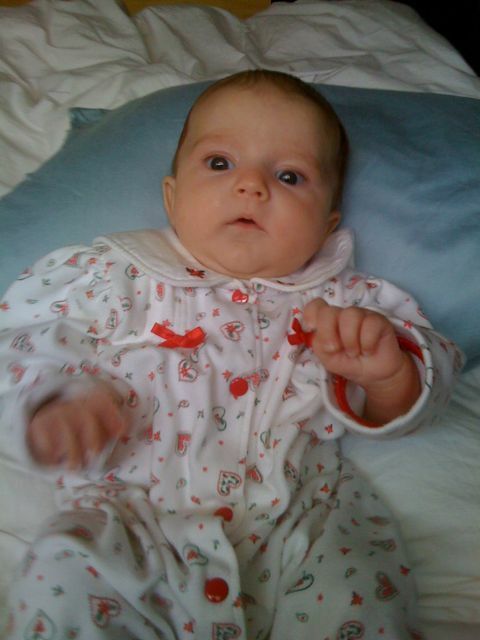 I will try and also post pictures with her in her church Christmas outfit soon.